After all the navel-gazing of the past six months, it’s time to raise our sights and think big – and they don’t come much bigger than Central Railway’s proposed £6bn freight artery from the North to the Channel Tunnel and the Continent. Despite its disastrous start five years ago, CHRISTIAN WOLMAR believes this is one Big Idea whose time may well have come. For one fortnight only, a special offer. Let’s turn our gaze away from the shambolic (but improving) state of our railway system and think big for a change. That is something which should have been done by the Strategic Rail Authority’s ‘Agenda’ published in March but the more you look at that document, the thinner it becomes. However, it did contain a reference to the Biggest Idea around. That is, of course, Central Railway’s plans for a £6bn freight route through the heart of England to the Channel Tunnel and beyond. The ‘Agenda’, being just a hotchpotch of ideas strung together without any narrative or coherence, simply lists Central Railway (CR) immediately below two somewhat more modest schemes: “reopening of line between Stourbridge and Walsall” and “reopening of Portbury branch line for freight traffic”. The SRA’s initial wariness is understandable. The CR has had a chequered history. No, let’s put it more strongly. The CR has had a disastrous history. Five years ago, the promoters put forward a scheme for a freight railway that included a lengthy tunnel under London and it was voted down overwhelmingly in Parliament, with barely half a dozen MPs supporting it. The scheme had attracted widespread criticism from virtually everyone, from NIMBY householders to potential financial backers and even, surprisingly, environmentalists. CR insiders blame the fact that the Tory Government bottled out of supporting the controversial scheme in public after having privately been encouraging. Dirty business, politics, as CR’s people found out. At the time, it was generally thought that the idea would then disappear, which seemed rather a shame since the concept – to put lorries on to trains and get them off the overcrowded roads – seemed one that should have excited everyone. The very fact that the promoters survived this débâcle shows there is some serious money and thinking behind the idea. This time both the scheme and the approach are different. The plan is for a 400-mile railway capable of carrying lorries and trailers on flat wagons, or two high-containers on well-wagons, between various destinations in Great Britain and northern Europe. The core railway would run from Liverpool to Lille (the original plan started in the Midlands) and instead of an unrealistic tunnel under the capital (which popped up in Croydon, much to the consternation of the local burghers) the intention is to run around London near the M25 through Surrey. Given the conservative reputation of Surrey residents and their affluence, they are unlikely to warm to having a freight railway thundering through their midst, even if a large chunk of it will be in a tunnel. Instead of trying to push through their own parliamentary bill under the cumbersome Transport and Works Act procedures, the promoters, who include the large US project managers Parsons, are trying to obtain Government support through a hybrid Bill – a Bill which like the Channel Tunnel legislation has both public and private involvement. That is a much more sensible approach as it has the added advantage of forcing the Government off the fence on a scheme of major national and strategic importance. But the promoters will not be asking for taxpayers’ money. They still argue that the scheme can be built and run without any subsidy. Is that feasible and is the Central Railway really a runner? Its very name raises doubts since the Great Central, over whose trackbed much of it will run, was one of the great economic disasters of Victorian rail building, simply a line too many between London and the North. However, the figures for the business case are impressive. The railway, currently costed at £6bn to finance and build, would carry some 40% of the cross-Channel roll-on roll-off and container trips, generating some £1.4bn in revenue. In other words, something like 3m lorries would be taken off the roads for a large proportion of their journeys. Inevitably, given past experience, doubts arise. We have seen all too many such grandiose schemes founder, not least the Channel Tunnel itself. By now, according to the forecasts in the early 1990s, the tunnel was supposed to be carrying 22m passengers and 11m tonnes of freight each year. In fact, last year’s figures were barely a third of those levels and the growth rate has levelled off. 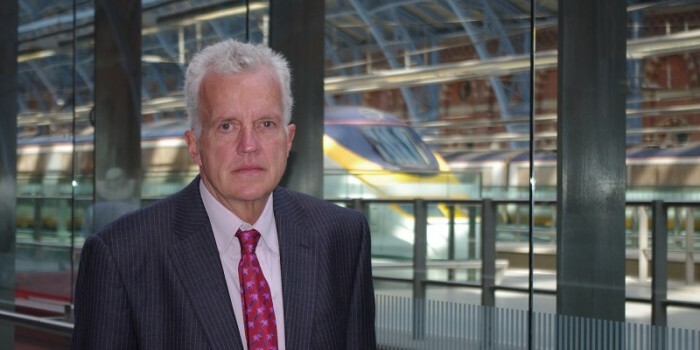 Andrew Gritten, the Chairman of CR, points out, with some justification, that the Channel Tunnel concept for freight was always misguided but that kind of over-optimism, which led to the collapse of the first consortium’s plans to build the Channel Tunnel Rail Link, means the financial case for big railway schemes will always be viewed with some scepticism. However, if the CR is a realistic proposition, then surely it should be a candidate for some of the SRA’s cash to help it on its way. After all, the Government paid for the motorway network. What gives the Central scheme a much greater chance of getting off the drawing board this time is that given the collapse of Railtrack’s plans for enhancing the railway and the difficulty in creating Sir Alastair Morton’s much-touted Special Purpose Vehicles, it is one of the only private-sector shows in town and one that could offer major and relatively quick results. If Labour seriously wants to be seen to boost the railways, can ministers really afford to shun its promoters? There are signs of movement in Whitehall. The SRA has been asked by ministers to review the scheme and has appointed consultants to carry out the work. There is, though, a myriad of pitfalls. It may be that the SRA is simply going through the motions in order to kill off the idea once again because the concept is all too big and overwhelming to cope with. It can be difficult to persuade people to support ideas that they did not come up with. Certainly, senior figures at the SRA have been intimating that they are concerned about the revenue stream and the planning issues around the M25. Indeed, I am sceptical too and it is impossible to make a judgement without more detailed information. Nevertheless, this is a Big Idea whose time may well have come. There is much support in Europe for the scheme, particularly in France. There is a possibility, too, that Ireland could use the railway to run trains from Holyhead directly to France, taking vast numbers of lorries off our roads. Central Railway could be the most exciting rail project since… well, the building of the Great Central. Let’s hope that this time the plans receive a fair hearing from the SRA, the Government and the media. We are, fortunately, going to see the back of John Prescott come the election. He will go off to an easier job than managing his specially created Department of the Environment, Transport and the Regions. And while he is a genuine supporter of the railways, his bullying manner, rudeness, short temper and thin skin will ensure that there will be few mourners within the industry. Indeed, many people will breathe a sigh of relief that they will no longer have to put up with his shorttermism and counter-productive political games. Remember, for example, the disgraceful briefing against Railtrack on the Saturday following the Ladbroke Grove disaster, when a group of Sunday paper journalists were told that Railtrack was to be ‘stripped’ of its safety role following recommendations from the Health & Safety Executive. In the event, the HSE report made no such recommendation and Railtrack’s Safety and Standards Directorate remained with the company, albeit as a separate subsidiary. That briefing was a direct result of a meeting on that fateful Saturday between Prescott, Tony Blair and his poisonous Press Secretary, Alastair Campbell, and it coloured relations between the industry and Government for a long time thereafter. This sort of off-the-cuff, highly political briefing was Prescott’s trademark. He never built up any relationship with journalists, because he felt that they would always criticise him. Instead, there would be the occasional briefing for a favoured hack, usually his biographer, Colin Brown of The Independent on Sunday. A more recent example of the kind of ridiculous games played by Prescott was the sudden announcement that there would be a ‘fares review’ following Virgin’s latest fares hike. This arose because Prescott happened to be talking to a group of journalists a couple of days after Virgin’s rise became known, and one of them reported that it could now be cheaper to fly to New York than take an earlymorning train from London to Manchester. Prescott got a sidekick to check this out and promptly announced to the happy hacks that there would be a fares review, giving them all fodder for their newsdesks. The SRA quickly poured cold water on the idea and, instead, had a pointless meeting with Virgin that resulted in a priceless press release which began: “The SRA and Virgin Group met today to discuss the financial situation underlying Virgin’s decision to increase certain of their fares in May.” Wow, and presumably Sir Alastair put on clean knickers and had a shower that day, too. There is so much embarrassment at the SRA about this episode that you will not find that news release on its website. In fact, Prescott knows full well that he could have got the SRA to review all fares regulation for the refranchising process and chose not to do so, preferring instead to spend available money on investment. Fine, but he should be honest enough to come clean about that rather than making ridiculous cheap political points. Au revoir, John – enjoy the political wilderness.